As you might know that we provide smart Amazon Links but for a new user it may seem a little confusing. So here in this tutorial, we are going to show you step by step guide on how to set up the Smart Amazon Links and get it to work correctly. So let’s start off with how we have implemented them on Astute Links. 1 What is Amazon Link Localization? 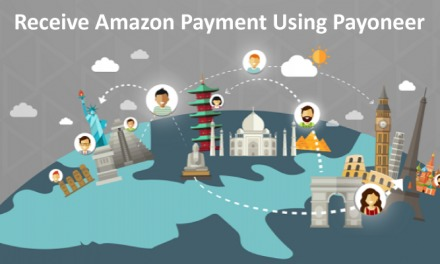 What is Amazon Link Localization? Smart Amazon Links automatically detects the user country and redirect them to the appropriate Amazon website. This is decided on the basic configuration that user has provided in it’s Amazon settings on Astute Links. This is called Amazon Link Localization. Open Tools -> Amazon Product Advertising API and there you will find an option to enable the API and create AWS Account. After completing the sign-up, Click on Manage Credentials. You will be redirected to AWS Sign In Page. Now Login using your credentials. After logging in You will be at IAM Management Console which will look something like this. Go to Your Account (Name) -> My Security Credentials from the top menu. Click Get Started With IAM User. Click Add User and Select any name you can remember. Select Programmatic Access and proceed. iii) Follow the steps to save the policy and you are good to go. Now review the details and click Create User. Note: If Amazon API Credentials are not valid then Smart Redirection will not work. Go to Account -> Amazon Settings. Paste the Amazon API Credentials you copied earlier and click save. If the Credentials are valid then the settings will be saved and otherwise, you will be redirected to an error page. Login to the respective Amazon associates program and fill out the tracking IDs and click save. We are assuming that you have filled the Amazon Tracking ID for US(United States). Now in the Localization settings for US you have selected US, IN, and CA. You can fill out these settings in My Account -> Amazon Settings -> Localization. Note: Localization will only work if you have filled out the tracking ID for that country’s Amazon associate program. Go to Advanced Link -> Amazon. Select the Group for the link and enter custom slug. Now fill out the product ID in default localization. To properly localize you can add the desired product IDs of different Amazon websites. But if you don’t fill them then users will be redirected to the search page and hence you will not lose any commission! We hope that you understood this tutorial. If you still have any confusion about the service then you can let us know in the comment section below. We would be glad to help you out. Thank You! Astute Links looks promising with lots of features for FREE, I’ll get it added to my list and start using it in place of my current link localizer.